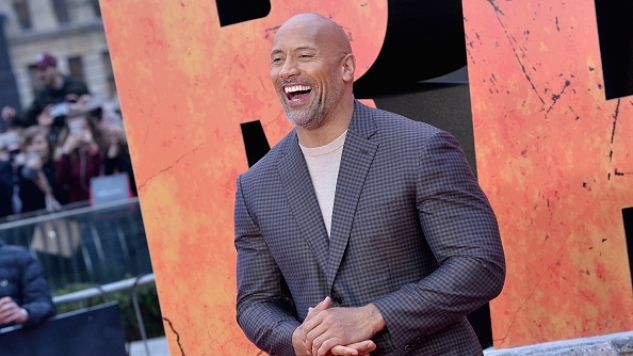 Dwayne Johnson will play the Hawaiian king Kamehameha I in Warner Bros.’ forthcoming epic The King, per THR. Warner Bros. and New Line won an auction for the the script, and Robert Zemeckis (Back to the Future, Forrest Gump, The Polar Express) will direct the project. King Kamehameha I is the founder and first ruler of the kingdom of Hawaii, having united the warring islands. The King will be a historical epic based on the true-life story of Kamehameha. Hawaiian legend says that a light in the sky with feathers like a bird would signal the birth of a great chief—a prophecy that came true in 1758, the year Halley’s comet passed over Hawaii and Kamehameha was born. Johnson will produce the project via his Seven Bucks Productions, along with Dany Garcia and Hiram Garcia. FlynnPictureCo’s Beau Flynn, Randall Wallace and Zemeckis will also co-produce the film. This project has been a long time coming for the Rock. Johnson, who is of Polynesian descent, has been hoping to make a movie about Kamehameha for decades. Deadline notes that he mentioned his hope to make this movie back when he played The Scorpion King in The Mummy Returns, nearly 20 years ago. It’s a dream role for the actor, who has roots in Samoa, New Zealand and Hawaii. Last year, a Hawaiian priest, called a “Kahu,” held a ceremony blessing the project. Johnson, Wallace and Garcia were all in attendance. Johnson was last seen in popular film Jumanji: Welcome to the Jungle and action thriller Skyscraper. He is currently filming Disney’s Jungle Cruise movie. The King is expected to begin shooting in 2020.